The Liz Spear Team A Team You Can Believe In. Serving Warren County and Surrounding Areas, including Northern Kentucky! We are committed to representing our clients comprehensively whether they are selling or buying what is quite probably their single largest asset. Our valued clients experience the benefits of a team's efforts and availability when responding to their real estate needs. Personal interest, coupled with high impact state of the art marketing tools, innovative marketing skills, expertise and technology let you, Buy With Confidence and Sell With Success. Liz is a full time Realtor, ABR (Accredited Buyer's Representative), e-Pro (Internet Specialist), Sales and Marketing Specialist. Bill is an engineer with a Fortune 500 company, a licensed agent, a U.S. Naval Academy Graduate and has a BS in Marine Engineering. To respect and value all things. Achieving excellence and exceeding the expectations in all aspects of our clients buying or selling experience motivates our team-- each and every day. 110 % of the time. We go above and beyond to better serve you, our valued clients. We track our local markets so that YOU can make the best possible decisions. If you're buying a home, we're working to get you the best possible price and terms. If you're selling a home, we'll work with what's most important to you: price or speed. We can adjust strategy to make what's most important to you happen. Ask An Ambassador: How Do I Get Referrals From ActiveRain? Not a typical fall day, the leaves really started falling hard due to some strong winds! Sellers deserve marketing systems that maximize exposure to the buying public. THE LIZ SPEAR TEAM gives them to you. We offer an unparalleled marketing package with an extremely strong internet focus. We have the systems in place to bring about the successful sale of your home. Practicing real estate is a combination of expertise and an art! Ask our clients and past clients. We look forward to the opportunity to show you. 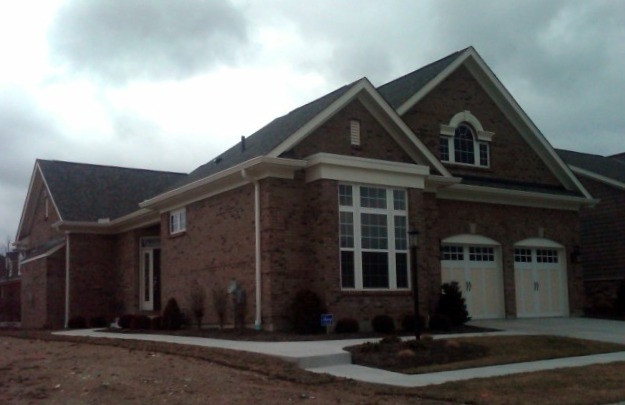 As a member of both Cincinnati and Dayton MLS we submit each of our listings into both systems. Offering our clients more visibility and exposure to the buying public! And we don't stop there! If your home is for sale, the buyer's will NOT be struggling to find it! If you're serious about buying a home, as a buyer, you need representation! The agent that has listed the home works for their employer, the SELLER. Which is exactly why you need an Accredited Buyers Representative (ABR) representing you and Working 100% with your best interests in mind while looking for your new home and negotiating your contract on your behalf. Let The Liz Spear Team help you make informed decisions and go to bat for you! The Liz Spear Team lives and works in Warren County. 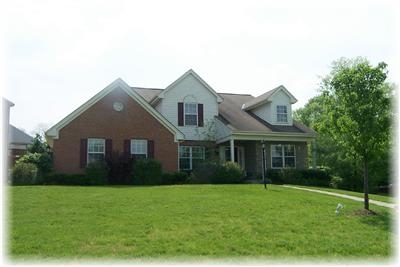 Representing Buyers and Sellers in the areas of Southern Ohio, including Cincinnati,Lebanon, Franklin, Dayton, Morrow, Springboro, West Chester, Kings Mills, Mason, Maineville, Montgomery, Blue Ash, Madeira and Loveland. 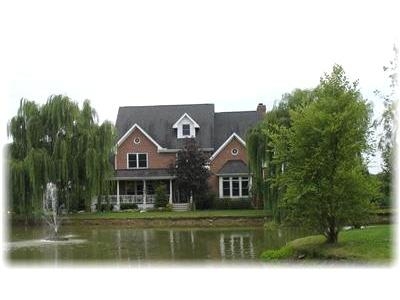 Are you interested in buying or selling a patio home in the Warren County or Cincinnati area? Also called lifestyle, villa, entertainment and garden homes, these homes offer the best of condo living with the best of single family homes. Patio homes exist in our area from the mid $100k price range to around a million dollars, all depending on location and amenities. You can go from plain to luxury living. 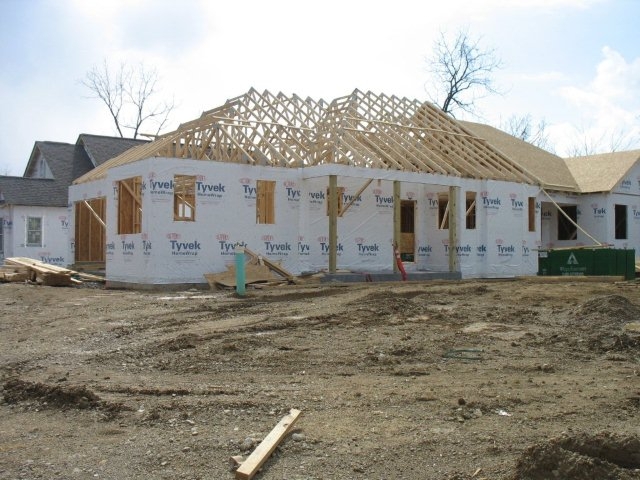 Both resales and new construction is available, but you've got to know where to find them. We endeavoured to know this market niche and be your specialists, so if you're thinking about buying or selling an area patio home, we'd love to be your agents! You can find more information on Warren County and Cincinnati area patio homes by visiting our niche blog site for Warren County and Cincinnati Patio homes. At first you might think you're better off going without an agent to buy your new construction home. After all, with one less person involved in the transaction won't the builder just reduce the price by what they would have paid you? And for any major builder in our area, that answer is NO. They've factored the cost of our commission into the price of ALL homes, so whether you have your own dedicated representative or not, the builder is going to charge you the same. So wouldn't it make sense to have your own guide for the new construction process since you're ALREADY being charged? Keep in mind, the builder's rep works for the builder, not you! They'll be super nice to you, but your best interests are NOT what they're about. We work with all major builders, so we can help you with the process. If you're working in either Cincinnati or Dayton, you've GOT to consider living in Warren County. We're right in the middle of the two, with easy north/south transportation with a solid infrastructure. Warren County offers some of the best schools in the region, affordable living, and award winning communities! Mason #24 in 2011 and up to #7 in 2013 and Springboro #42 made Money Magazine's Best Places To Live List, and Lebanon is an Ohio magazine Top Five Hometowns. We offer the world's largest YMCA in Lebanon, Kings Island in Mason, the Little Miami River and Bike Trail, plenty of restaurants and shopping opportunites, and have you checked out all the festivals during the year? Warren County is a GREAT place to live! Wow. I don't know where to start. We are a military family. So, we had military orders to move. We've never bought a house, and had no idea about the process that goes along with it. Luckily, we did our research and chose to find a realtor to use along side with our builder company. We did everything long distance, so Bill was our eyes and ears and he is AWESOME!!!! We were so thankful for finding Bill and having him be apart of our journey. It was an amazing first time buying experience, because he was so wonderful, keeping us updated on everything, doing the walk throughs, Skyping us, letting us know all the details. There is no doubt that William (Bill) Spears is a very motivated individual who absolutely loves his job. He is very easy to communicate with and always willing to talk on the phone, email, Facebook and or text! Along with his desire of what he does, there comes a ton of experience and knowledge. My husband and I learned so much about real estate and the do's and don'ts, and what to keep an eye out for. It is obvious that Bill is not just concerned with selling you a house or making commission; he has a passion for finding people a home and spreading valuable knowledge. Without a doubt I would not hesitate to use him again if we ever sold our home, which I doubt will ever happen as it's our dream home ?? I do want to mention that we found him by looking towards Mason Ohio area, but we decided to move to Northern Kentucky and we were afraid that we weren't going to be able to use Bill. But it all worked out and he went and got his license down here so we just think the world of him. I highly recommend him!!! It is a joy (and, admittedly, something of a relief) to have finally arrived at the point where we can put legalities behind us and move on to more creative pursuits, such as decorating and furnishing. Your advise, guidance and support played a large role in helping us obtain this beautiful home, for which we are most grateful. Absolutely outstanding. Bill helped us find our home when we relocated to this area. Bill is hands down the best agent I've ever worked with and I've worked with many. He was always available, provided outstanding insight and advice, researched candidate properties and supplied valuable "behind the scenes" information on property status, was infinitely patient and always was pleasant, professional and supportive. During the time we were seeking a home here, we were selling one in our previous location. Bill became the standard by which we judged other realtors in making our selection of selling agent. He's that good. If you are seeking a buyer's agent...don't give it a second thought. Give him a call; you'll be glad you did. Five stars aren't enough but that's all the website permits. Honest. Hard working team. Knowledge level ensured proper handling of requests from the mortgage company and selling agent. Made me confident in my decision. Worked very hard to assist in the purchase. I am extremely satisfied with The Liz Spear Team. I would definitely recommend the Spear Team with RE/MAX. When we listed our house on the market, it went under contract in less than 1 week. They then helped us to get our new home under contract. We closed on both homes within 6 weeks, on the original date selected for closings. We sold in 48 hours over our asking price. Bill was very good about guiding us on what we needed to do in order to get the home ready for the sale and his guidance throughout was relaxed. He was very flexible with our schedules. We'd highly recommend him! We would like to take this opportunity to let you know how happy we were with the manner in which you handled our home listing. We made our selection after interviewing other candidates and were very happy with that decision. Your ability to provide the tools needed for marketing our home – from the great flyers, complete with digital pictures, that you made and always made sure were well stocked for showings as well as attached to the sign out front, to the great marketing ideas and wonderful follow-up, was impressive. You were especially wonderful during contract negotiations, with the various situations that arose; we relied on your expertise and advice. Your research was thorough and accurate and your character honest, loyal and trustworthy. If/when we are in need of a realtor we will not hesitate to call you again, we wish you the best and continued success in real estate. When I was looking for a Real Estate Agent I met Elizabeth. After meeting with her and several other agents noticed that Elizabeth was much easier to communicate with than the other agents and much more willing to listen and understand what I wanted and needed from her. After having my house on the market with 2 other agents I can say that Elizabeth is the most Honest, Ethical, and most important is that I believe she is Sincere. Elizabeth always keeps me informed through email or phone calls about anything concerning my home. 99% of the time she can be reached immediately on her cell phone or will call back within a few minutes if she can't. I would recommend her if you want someone who will work for you to get your house sold. Elizabeth has been just great in advising me and guiding me through the process of buying my new home. I really appreciated her energy, her knowledge and her honesty as we worked together to find the perfect place for me.